June 6, 2014 MUMBAI: d2h, India's fastest growing DTH service and Asia's most promising DTH brand, today announced the addition of top Bollywood actor and talented personality, Parineeti Chopra to the d2h family. Parineeti will be the new face for the brand and will feature in their upcoming brand campaign that focuses on Indian values. d2h has always strived to fulfill the wish list of the Indian television audience by offering a diverse bouquet of channels, advanced technology and seamless customer support in multiple languages. Through this new campaign, the brand will showcase their innovative and technologically advanced Unlimited Asli HD Recorder & the new Radio Frequency Remote with earphones which assures convenience and comfort for television viewing. Sharing his views on the campaign, Mr. Saurabh Dhoot, Director, d2h says, ""Indian values epitomize our society. They are a part of our lifestyle and culture. Our new brand campaign featuring Parineeti captures some of these sentiments of Indian values and integrates it with our product deliverables. We believe Parineeti is the most appropriate choice to communicate our brand values. With all these unique features, one can attend to others, without missing the action on TV."" Commenting on the new brand campaign, Mr. Anil Khera, CEO, d2h, says ""With d2h, now you can pause your TV, record unlimited content, which means you won't have a problem being interrupted anymore. We are happy to have Parineeti as a part of the d2h family. In addition to her acting talent, her connect with the Indian masses will definitely help us reach out to our customers. Our main focus is to enhance the customers' television viewing experience."" 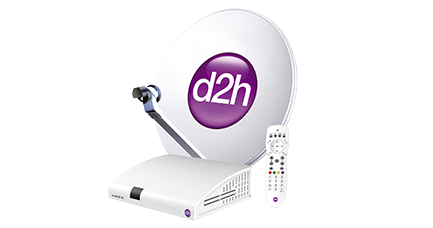 The campaign highlights the solution d2h will provide their customers with this new product that gives the option of Recording, Pause Live TV, rewind-forward. 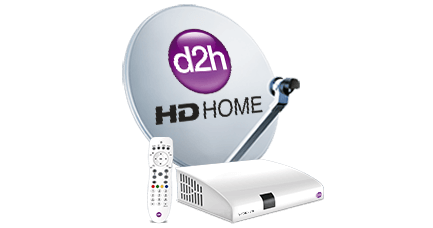 d2h currently offers 500 Channels and Services which includes 30 Asli ""HD"" channels & services and a host of regional channels. 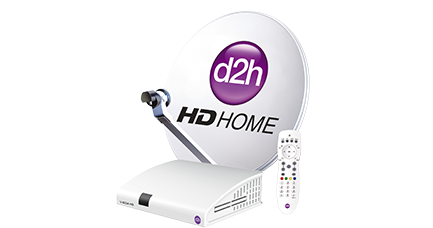 ""I'm very excited & privileged to be part of the d2h family, India's fastest growing DTH service. It's a great brand with awesome services like a recording service that they've brought to the Indian consumer at just Re.1 per day and innovations like a RF remote, which you can just plug earphones into and enjoy a private TV viewing experience. What I loved about this campaign is the way in which Indian values are portrayed; it's quite different and fun. We're all brought up on strong values and so I think it's a nice message to keep Indian values intact. I myself have seen these values disappearing when we're glued to TV. It's a campaign I could really relate to and I think people will as well"" says Parineeti Chopra.